Our beautiful landscapes, our sumptuous cuisine and our vibrant festivals have always been the source of our national pride. Just like these national treasures, our very own people, the World Class Filipinos, are also well known around the world not only as hard-working individuals, but also as employees who can deliver excellence in the workplace. This month, we will be featuring some of our Kababayans abroad who have excelled in their professions and received recognition from industry organizations. This is our way of recognizing their hard work and the respect they earned from their colleagues and organizations. Filipinos are natural hosts, and this is not a secret among hospitality firms and airlines around the world. Last month, I traveled to Singapore and stayed at Hotel Jen Tanglin Singapore. There I was able to meet and had the opportunity to interview Ms. Inna Flores, a Filipina from Marikina City who has been working in the hotel as Duty Manager since April 2014. 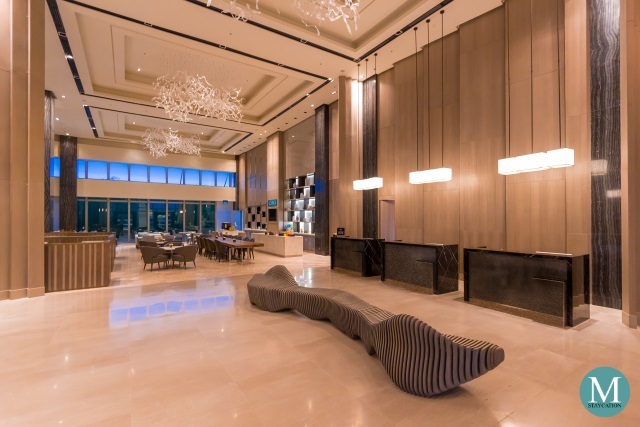 Inna used to work for Edsa Shangri-La Manila, a sister hotel of her present employer, Hotel Jen Tanglin Singapore. 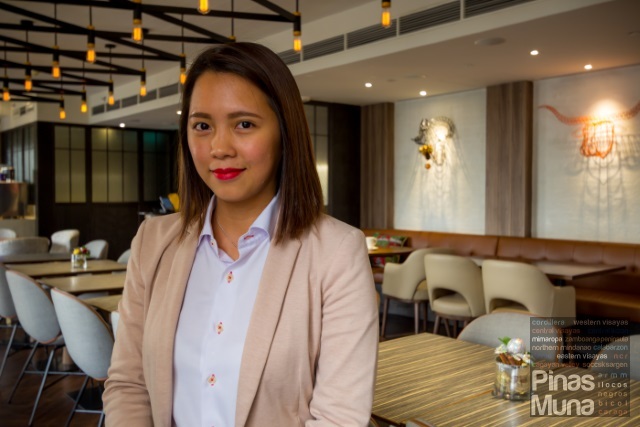 Her five-year experience at Edsa Shangri-La Manila became her solid foundation for qualifying for a post in Singapore. It didn't take long for Inna to shine. In 2015, during her first year in Singapore, she already received a Silver Award from the Singapore Hotels Association (SHA) in recognition of her outstanding contribution and commitment to excellent service. She received the same award the following year in 2016. In addition, Inna also received recognition from her company for the commendations she received from hotel guests. In Singapore, having the skill to speak English is not an advantage but a requirement, and one's chance of getting employment in Singapore is primarily based on the person's educational background and professional qualifications. Inna is proud to say that everyone in Singapore is treated equally, regardless of your nationality, your race, or your religion. Each person is evaluated based on his or her individual performance and contribution. That is why it really made me proud to hear that a Filipina was able to excel in her profession, more so that her contributions were recognized. I believe that if you put your heart and commitment plus positive attitude towards work, good results will follow. Anyone can excel professionally in Singapore as long as you are committed to your work, are able to adjust to the work environment in the country, and are practicing good behaviors such as humility, honesty, respect, and courtesy. Lastly, it is important to respect the country that welcomed you and allowed you to live and work there; respect their rules, their people, and beliefs. According to Philippine Ambassador to Singapore, Ambassador Antonio Morales, there are about 180,000 Filipinos working and living in Singapore. Like any expatriates, Inna also feels homesick at times. Luckily for her, she was married to a Filipino who is also working in Singapore. She also gets to visit her family in the Philippines at least three times a year. Her last visit was in September when she celebrated her birthday with her family. 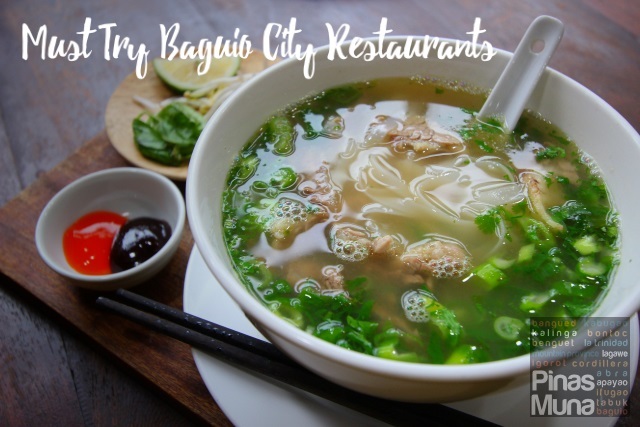 Inna and her husband also deals with the feeling of homesickness by cooking Filipino dishes which they share with fellow Filipino friends whom they would invite over for dinner. They would also visit Lucky Plaza mall, located along Orchard Road, and eat at Kabayan, which according to Inna, serves the best Filipino food in Singapore. Another Filipino comfort food that Inna enjoys in Singapore is Chicken Joy at the Jollibee branch in Lucky Plaza. Inna considers Singapore as a food haven due to its multi-cultural influences. Some of her favorite Singaporean dishes are Char Kway Teow, Roti Prata, Roasted Pork Rice, and Chicken Rice. Some of her favorite passtime activities are watching movies and enjoying a simple catch up with friends over coffee. During my visit to Singapore, I realized that staying in a hotel with a Filipino staff makes a lot of difference. First of all, you feel you are home when you can speak with the staff in Tagalog or Filipino. Secondly, you really feel you are well taken care of. And lastly, the Filipino staff can give very good advice on food because we have the same preference in taste. 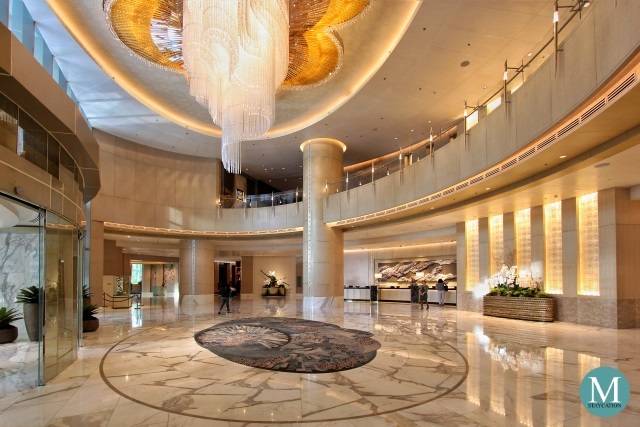 Having said all these, you will really want to stay in the same hotel on your next visit. 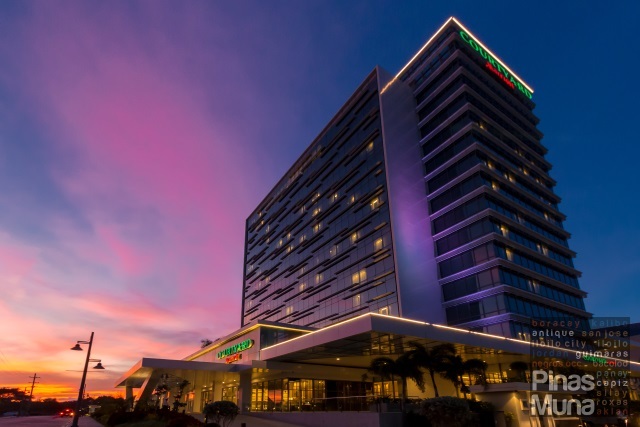 Inna said that most of their Filipino guests have become loyal guests primarily because of the Filipino hospitality they receive from the Filipino staff. If you will be visiting Singapore soon, I highly recommend that you stay at Hotel Jen Tanglin Singapore and don't forget to look for Ms. Inna. Aside from her, there are six other Filipinos working in the hotel. Thank you Ms Inna Flores! It was a pleasure meeting you! I wish you all the luck in 2017 and I look forward to meeting you again in Singapore. Mabuhay ka!